Asian energy ministers from 36 exporting and consuming countries will meet in Bangkok in early November for discussions ranging from fossil fuel, gas and disruptive technology. This round of the biennial forum is billed as one of the industry’s most important as potential energy market transition possibilities will underpin future energy security implications – a top economic agenda for most nations. The 36 Asian ministers will be joined by 20 heads of energy-related international organisations. The Thai Energy Ministry plays host to the forum under the theme “Global Energy Markets in Transition: From Vision to Action.” The United Arab Emirates is the Bangkok forum’s co-host. The event will take place during Nov 1-3 at the Shangri-la Hotel, Bangkok. 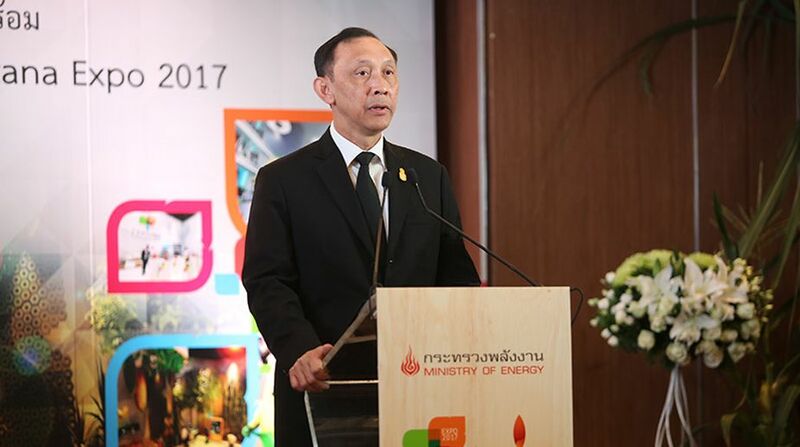 Thai Energy Minister Gen Anantaporn Kanjanarat said the meeting underpins the development of the increasingly complex and dynamic relationships between energy producers and consumers in Asia and beyond. The ministers will divulge on visions and implications of energy markets, natural gas, renewable energy transition with advanced technology options – all of which will shape the future world’s energy markets. This gathering will update on the energy outlook in Asia especially oil market and its impact, touching on global issues and challenges influencing the oil markets in Asia. The Thai Energy Ministry cited the example of an extensive agglomeration and closer cooperation among OPEC member countries and the recent unrest in many parts of the world that may affect the oil price. As for gas market, especially LNG, there will be a platform for a policy dialogue between exporting economies such as Western Asian Countries and energy importing economies such as China, Japan, Korea and Asean member countries. Both sides want to explore for more secure, stable and sustainable future for both oil and gas market. The forum will also look into the spread of disruptive energy technologies from fossils to cleaner and renewable energy. Highlights are the rise of solar rooftop, electric vehicle uses and energy storage system development. The critical challenge for the industry is to ensure the momentum of technological innovation and its transformation and to speed up progress. Anantaporn said the Thai government pursues the policy to ensure predictable, long-term support in all stages of innovation to cope with future disruptive technology. Thailand is one of a few countries in Asia with explicit disruptive technology policy. He said also Thailand is recognised as the Asean leader in renewables energy and energy efficiency; plus action plans under Thailand‘s Energy 4.0 policy and Integrated Energy Blueprint.